The Silver Spitfire is one of the most famous planes in the history of aviation and the inspiration for the new Spitfire Pilot’s watch collection of IWC, presenting watch design of highest design standard and quality. IWC´s Pilot´s watches have spread the magic of flight for more than 80 years now. During this year’s SIHH, the Salon International de la Haute Horlogerie, which took place in Geneva this January, the new designs were presented in a most stunning atmosphere. All under the motto “Silver Spitfire – The Longest Flight” the presentation was ready for take-off during this year’s Salon. The Silver Spitfire, designed by Reginald J. Mitchell, is one of the best developments in the history of aviation and it decorated the booth of IWC at the fair. What an amazing eye-catcher. Just like the planes perfect and functional design, the watch line – enjoying the same name – brings together form and function at its best, fulfilling all requirements of military aviation. I am a big fan of the art of watch design and the incredibly aesthetic and beautiful pieces that IWC is known for. 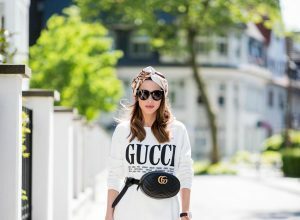 You can often see my wrist carrying one of the extraordinary pieces and no matter if it is a very elegant or casual watch – it always looks stunning and completes my fashion looks during any occasion. 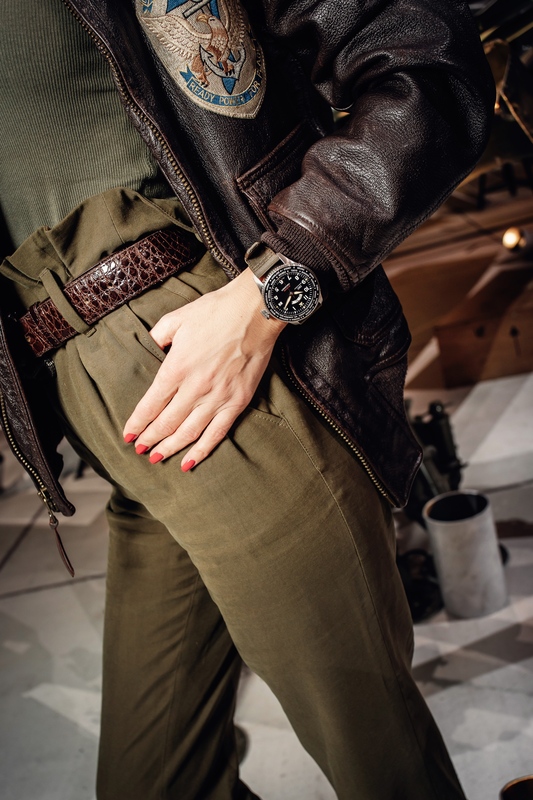 During my visit with IWC at the SIHH 2019 I got to explore the new collection – my stay felt like a little flight through the world of incredible watch and aircraft design. The Silver Spitfire was actually built in 1943 and restored these days in order to fly around the world on its expedition „The Longest Flight“ – with IWC Schaffhausen as its partner. What a great adventure lying in front of IWC and what a beautiful partnership. The highlight of this year’s SIHH for IWC, was the presentation of the three new Pilot’s watch sub-families: The Spitfire, Top Gun and Le Petit Prince. All three convinced through their special aspects and their individual characteristics. The Spitfire Timezoner watch combines form and function, inspired by the iconic Mark 11 navigation watch it is ready for a flight to any destination in your life. 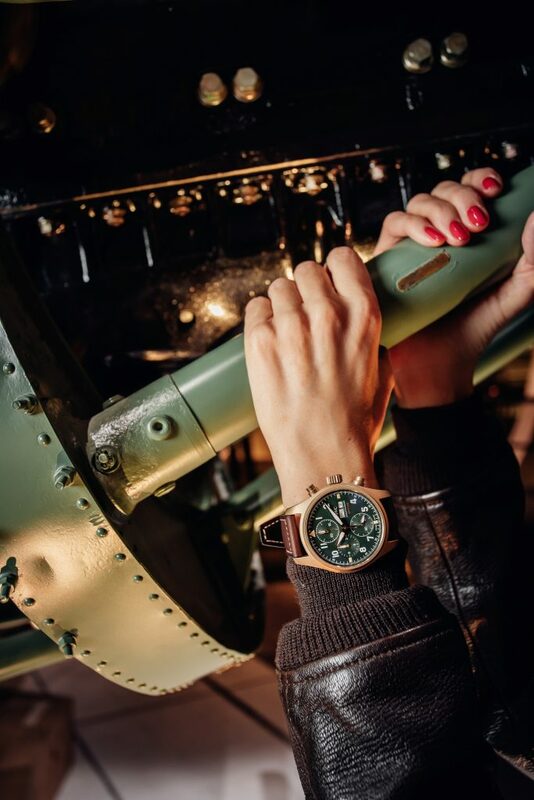 The watch reminds of the cockpit of the Spitfire, with the stainless-steel case, the black dial and its green textiles strap. And how great is that: you can set the watch in a different time zone just by a simple rotational movement. A real pilots dream and for everyone who recognizes this amazing design piece. The Topgun watch cases are specially designed with robust materials, such as the Ceratanium. 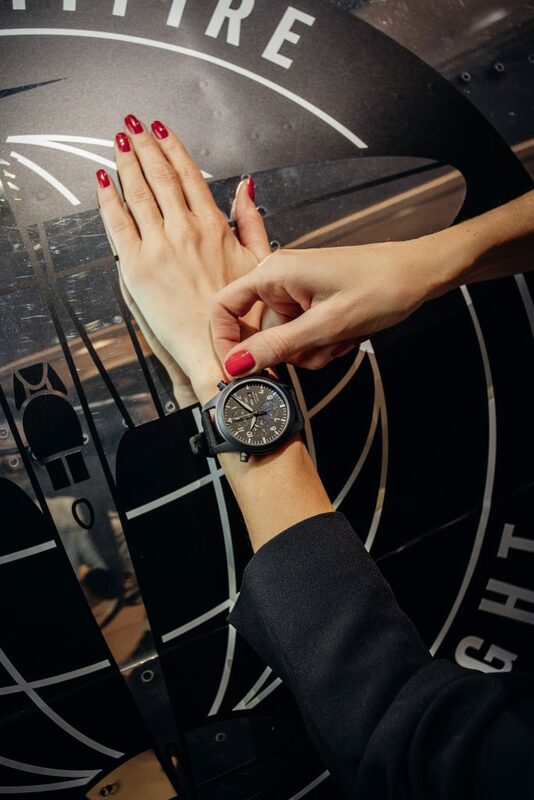 The material developed by IWC is as lightweight and robust as titanium and at the same time as hard and scratch-resistant as ceramic and it comes in a stylish, completely black design. Also a great partner in crime for the trip of your life as well. Last but not least, Le Petit Prince watch – it is the first watch made of hard gold – a special new version of red gold! The material is significantly harder and more wear-resistant than red gold. 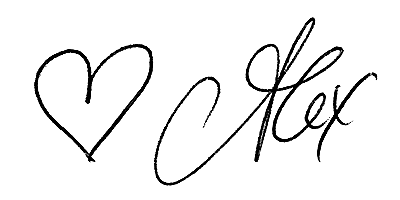 All lines are amazing and everyone will for sure find their favorite one among these stunning designs. It just depends what little extra details you are looking for or what style fits you the best. The Silver Spitfire is a beauty in aircraft design and the perfect inspiration and company for the famous watch design company IWC Schaffhausen from Switzerland – pick your favorite watch and enjoy your flight – ready for take-off, your personal adventure can begin.